This is a UNFINISHED Christmas ornament. It adds a simple rustic touch to any Christmas tree. It would be a perfect wedding, Christmas, or anniversary gift. 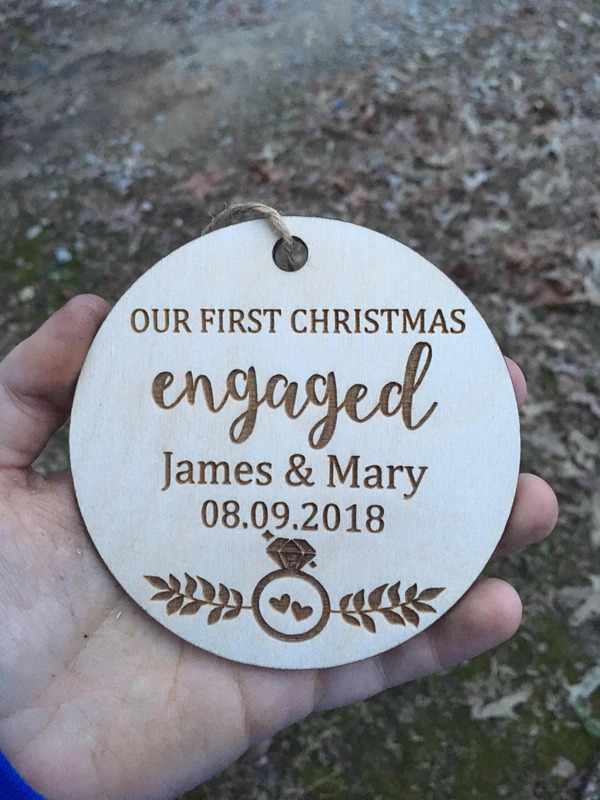 *WHAT YOU GET* One sanded unfinished laser engraved Christmas ornament that is 1/8" thick (light weight) with twine loop hanger. * MEASUREMENTS * 4 inches wide and tall.